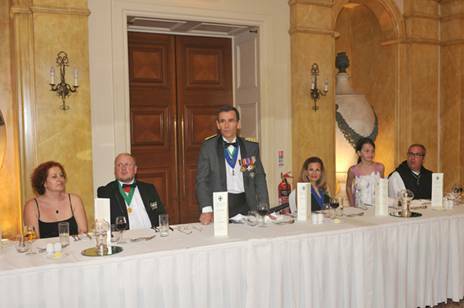 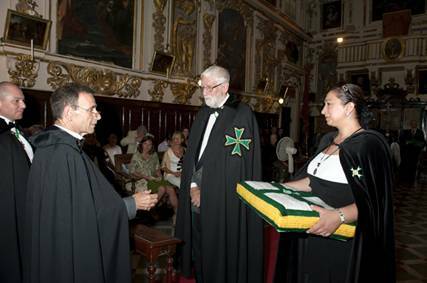 During the month of July 2011, another investiture service was held at the Basilica of Saint Dominic the Great in Valletta, with the investiture dinner afterwards being held at the Hilton Hotel in Saint Julians. 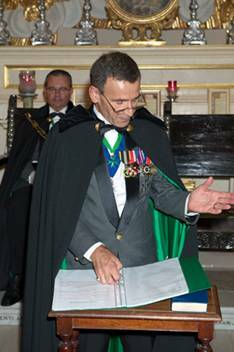 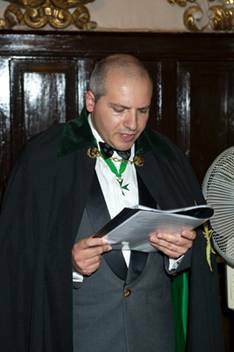 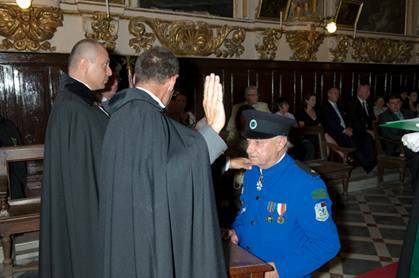 The investiture service was entrusted to the Commander of the Commanderies, Confrere Godwin D'Anastasi, who was assisted by the Chancellor of the Grand Priory of Gozo, Chevalier Charles Caruana. 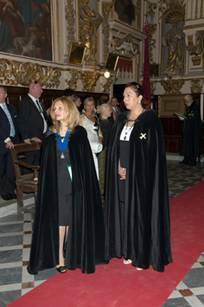 Unfortunately, the Grand Prior of Malta was ill during the period of the investiture and the Chancellor of the Grand Piory of Malta was abroad, representing the Order in other investitures and meetings in the United States and South America. 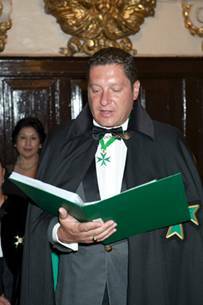 A number of postulants joined the Order as members and also as commanders. 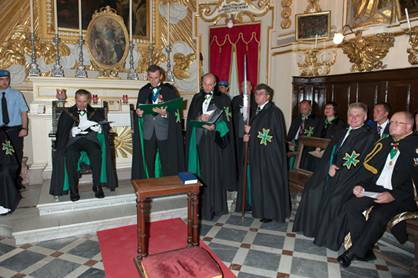 The Companionate of Merit of the Order was bestowed on a number of worthy confreres and consoeurs from the Grand Priory of Malta and also from a number of postulants from jurisdictions abroad. 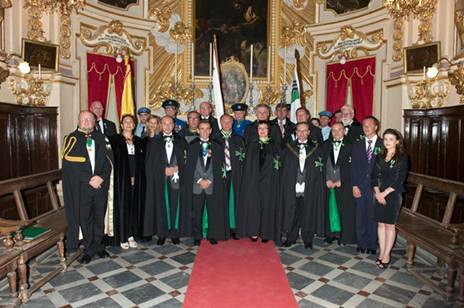 The Grand Priory of Malta welcomed a large delegation from the Grand Priory of Ukraine, led by its Grand Prior, the Chevalier Anton Savvov. 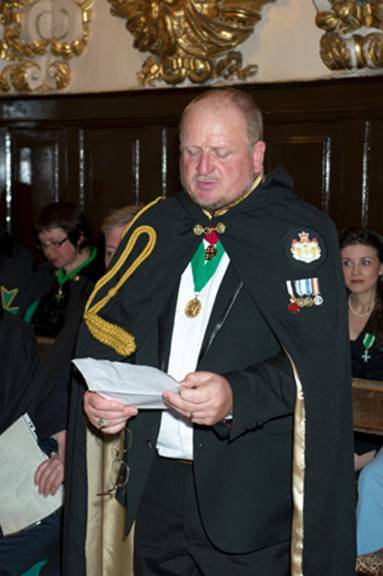 Another delegation from a sister chivalric organisation was also present from the United Kingdom, led by the Chevalier Leslie Angle. 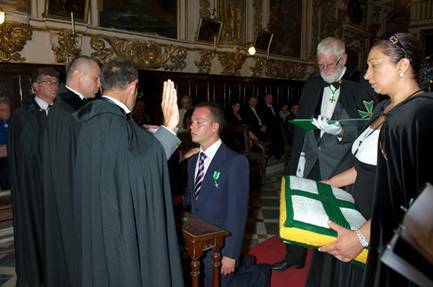 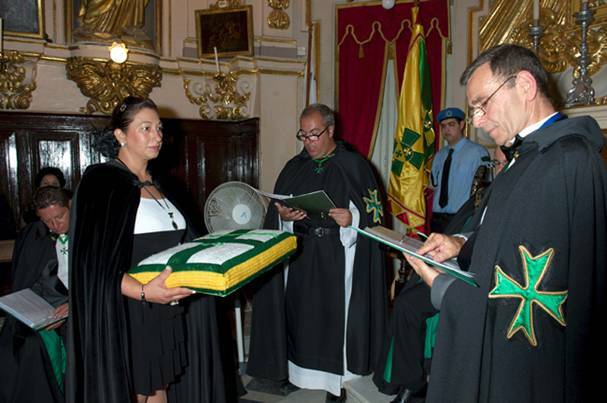 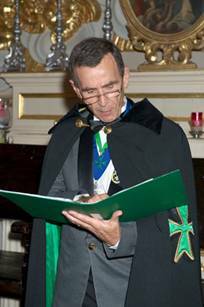 Although it has now become the custom of holding two investiture in a year in this jurisdiction, the Grand Priories of Malta and Gozo opted to hold this second investiture in 2011 a bit earlier than usual so as to leave sufficient time during the last two quarters of the year to properly prepare for the April 2012 investiture which would form part of the events of the first International Lazarite Symposium, which will be held at the Sacra Infermeria of the Knights of Malta in Valletta.